Sure, I'll teach a Bible School class. As soon as those words left my lips, I immediately started stressing. Would I be a good enough teacher? If a child wanted to accept the Lord, would I know the right words to say? Would they even learn anything from my class? As the time grew closer, I shifted my worrying from my words to my decorations. Fun decorations are such an important part of the week. Through lots of Pinterest searching, I finally found doable ideas. A super cute paper tree in the corner of my room accompanied by a giraffe face on my door. Hallelujah, I can finally relax a little. Hours were spent getting my room in the cutest, child pleasing condition. The tree was the cutest, only requiring around 5 hours of work. Finally, looking around my room, I felt relaxed and ready to tackle the week. I walked into my room 5 minutes before the first night of Bible School was to start. Flipped the light switch and my breath caught in my throat. Panic set in. My tree was completely on the floor, unsalvageable. In a split-second decision, I loaded it into a trash bag and threw it in the dumpster. I felt defeated before the week even began. I headed back upstairs with my head hung low. The Director caught me and pulled me into the Pastors office for a bit of prayer time before Bible School started. As he spoke, I held back my tears. "Lord, help us remember it's not about us, it's not about decorations, it's about You and getting to these kids hearts." Yep God, I got that message loud and clear. That tree, while disappointing, was nothing more than just paper. It couldn't help get to these precious littles hearts and lead them to God. It was time for me to refocus, even if it was 5 minutes before Bible School started. With a quick little silent prayer asking for God to give me the right words, I was off to begin my new venture. 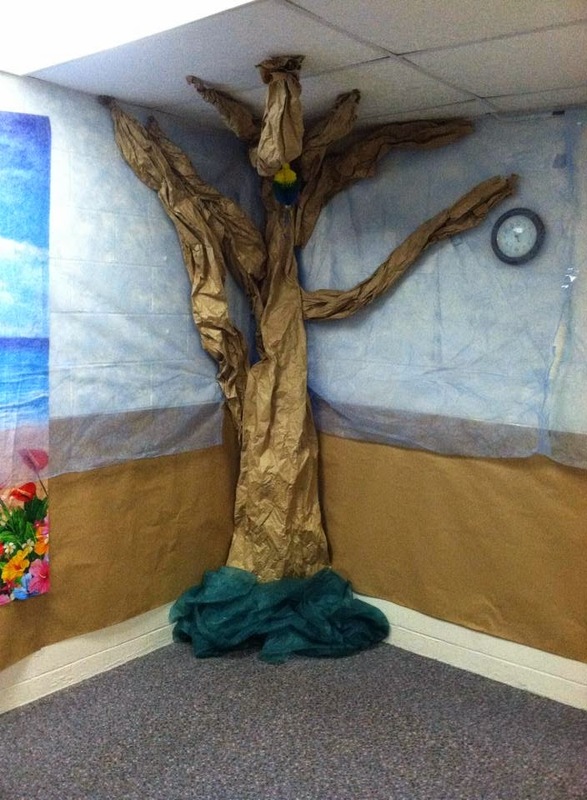 The week went perfectly and the kids had a great time, even without a paper tree. The Gospel was spread and hearts were touched. I'm so thankful that in that second, God directed my focus back to where it should have been, on Him, rather than on myself.